ONLINE ORDERING HAS BEEN TURNED OFF FOR THIS EVENT If you would still like to purchase a copy, please call us at 480.730.0205. 7PM SATURDAY, OCTOBER 5 Linda Ronstadt in conversation with Ed Masley from ﻿Eleven-time Grammy Award-winner Linda Ronstadt discusses Simple Dreams: A Musical Memoir with The Arizona Republic's Ed Masley. ﻿Born into a musical Tucson family, Ronstadt and her siblings performed their own music at an early age. Ronstadt arrived in Los Angeles in the mid-'60s, just as the folk rock and country rock movements were beginning to bloom. As part of the coterie of like-minded artists who played at the Troubadour in West Hollywood, she helped define the musical style that dominated American music in the '70s. In Simple Dreams, Ronstadt reveals the journey that led to her long-lasting success, including stories behind many of her beloved songs. EVENT DETAILS ONE BOOK VOUCHER and ONE TICKET (admits two) is free when you purchase Simple Dreams from Changing Hands Bookstore. Each voucher is good for one signed copy of Simple Dreams, redeemable starting on Saturday, October 5 at 7pm. Due to Ms. Ronstadt's recent Parkinson's diagnosis, not all books may be signed. Letter groups (printed on top of ticket) will be called at 6pm to fill seats and designated standing room. Space cannot be guaranteed for late arrivals. Event details are subject to change. 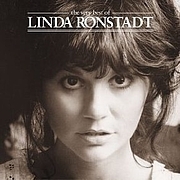 ABOUT THE AUTHOR Linda Ronstadt has received twelve Grammy Awards, two Academy of Country Music Awards, and one Emmy Award, as well as several Tony and Golden Globe nominations. She lives in San Francisco with her family. Linda Ronstadt is currently considered a "single author." If one or more works are by a distinct, homonymous authors, go ahead and split the author. Linda Ronstadt is composed of 2 names. You can examine and separate out names.